Had an awesome experience with John Shamloo - will recommend all of my friends to purchase their cars through him. He is a straightforward salesperson and is eager to do what he can for you. I appreciated his sense of humor and dedication. He ended up staying late by an hour and a half to help us out. I came to this dealer through my friend. Josh helped my friend when he bought his truck. He found me a my dream car with reasonable price. He is well trained and experienced sales man. Even he invited me and my friend to dinner. If you are planning to buy car from this dealer look for Josh. Friendly, respectful and very funny. I will keep posting the quality of my car #Toyota 2017 RAV4. Over all I am very satisfied with Josh and he lived up to my expectations. I understand and experienced the service my friend told me. Over all great customer service. I came in on a weekend to get some headlight bulb replacements, and was really impressed with the professionalism of the staff here. It was my first time getting my car serviced at Stevens Creek Toyota, and thanks to Makan Ardalani, I will most definitely visit Stevens Creek Toyota again for any service that needs to be done on my Prius. Makan went above and beyond during the multi-point inspection review, even taking the time to show me how to inspect the oil fluid level (which was a little low) and fill up to the appropriate amount. He was patient and clear with his explanations, and I left learning something new! Your car will be in great hands at Stevens Creek Toyota. Just ask for Makan! I dropped off my Prius Prime for routine service today & it was ready in half an hour! I don't necessarily expect service that fast in the future, but I was impressed that they exceeded their service promise of having it ready in one hour. I used to take my previous Prius to Fremont Toyota, & even when I made an appointment, they would tell me it would take 3 hours & it would be like, 4. 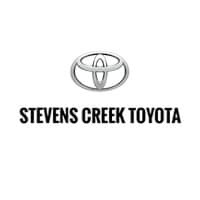 Steven’s Creek Toyota is committed to providing the care and expert service that our guests come to trust. Our Toyota-trained technicians have spent thousand of hours understanding each and every Toyota vehicle and use only Genuine Toyota parts to service and repair your Toyota. Welcome to Stevens Creek Toyota, an award-winning, family-owned Toyota dealership serving drivers in and around Sunnyvale, Santa Clara, Fremont, Milpitas, and Los Gatos. Bay Area motorists choose us not only for our convenient location and large inventory, but also for our courteous staff and emphasis on customer service. We promise to keep things simple and respectful in a stress-free environment! First and foremost, our new Toyota inventory includes the latest versions of the Tundra, Prius, and RAV4 in stock at all times. Better yet, we have the Toyota Mirai on offer, which is the new Toyota hydrogen car. Take your pick among these options, or explore what’s available to you within our selection of certified pre-owned models and used vehicles from other automakers. In any case, our staff will work diligently to set you up with a vehicle that meets your needs, and we won’t waste your time with a lengthy, unnecessary negotiation session. Our finance team is at the ready, too, to discuss different loan and lease packages and arrange monthly payments you can afford. Make Stevens Creek Toyota your dealership of choice, and we’ll make you our priority. Visit us today at 4202 Stevens Creek Blvd in San Jose, CA, and get in touch if you need more information before you stop by!